← West Fife Villages Councillor Wishes Council Candidates Good Luck! Despite claiming the lives of two men every day in Scotland, prostate cancer — the most common cancer among men — receives less media attention and funding than many other major cancers. Lack of public awareness no doubt goes a long way to explain why a recent survey found that 85 per cent of suffers experienced symptoms for more than a month before contacting a health professional, with 41 per cent waiting more than a year. 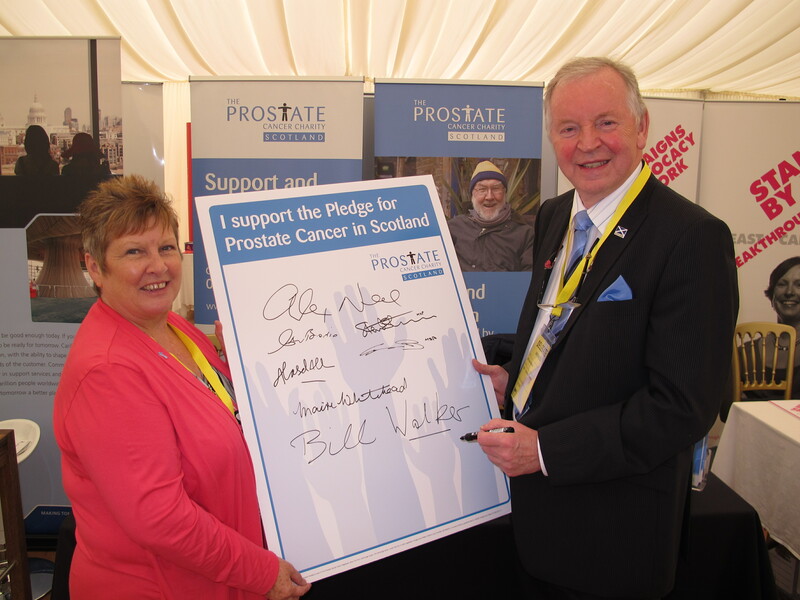 I have supported the Prostate Cancer Charity for some time and was pleased to sign The Pledge for Prostate Cancer at Parliament, a call for reduced inequalities in treatment and improved prostate cancer services across Scotland. The Charity has now compiled a draft set of standards for prostate cancer care and is inviting feedback from men affected by the disease, as well as partners and healthcare professionals. Once the standards are finalised, the Charity will ask the Scottish Government to implement them across the country. Anyone whose life has been affected by prostate cancer can make their voice heard by visiting www.prostate-cancer.org.uk/takeaction, or by telephoning 0141 314 0050.